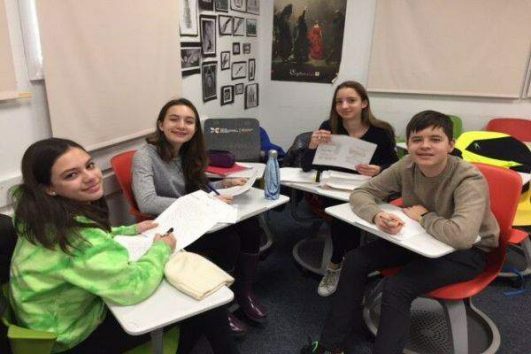 German Language School New York at the United Nations International School offers German language education from Early Childhood to High School to Adult Classes. Everyone who wants to learn or maintain German can join the German Language School New York in Manhattan on Saturday mornings. Learning takes place in a relaxed and friendly atmosphere. All classes are taught by qualified teachers. 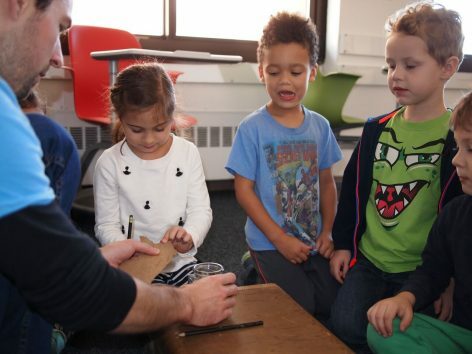 The youngest students learn through play, while the curriculum for the older students emphasizes oral and written communication, grammar and spelling. Adults can learn German while kids are in class. At German School NYC, we offer classes from ages 1 and up at very reasonable prices. Tuition is paid per semester, with each semester taking place from either September to January or February to June. Our pricing structure is $600 for the first child or adult per family, and $540 for each additional child or adult. The tuition for children enrolled in either of our “Knirpse” classes is $410 per child. Our older students may take internationally recognized standardized tests such as Sprachdiplom 1 and 2. These very prestigious exams are designed by the German Ministry of Education and satisfy the language requirements for entrance at German universities. Some American colleges give credits for it as well. Click here for more information about age groups and specific courses and here for more information about fees.